Economics Articles | Economic Long Waves, Scientific Revolutions, and Plasmoids – Not Junk Science! Predictive Model for Kondratieff Wave Depressions and a Second Dip, October 20, 2015 In this paper, I’m following up on the two articles published in December and January on the mostimportantnews and thedebtweowe sites (see below). I was warning then that a second dip in this K-wave trough was about to start, and tried to explain the predictive model for the K-wave based on the model of physics paradigm shifts causing economic depressions. In this article, the predictive economic model is explained and excerpts from past articles included so people can see the predictions then. Recent evidence of a second dip perhaps beginning near the end of 2015 is included. The paper ends with some more predictions about the future such as the replacement of human jobs by automation and when the productivity growth peak in QM based industries will happen. The model predicted all this 25 years ago. Some current statistics about unemployment and etc. are included to show that this is a depression era. The 25 Year-Old Economic Depression Model That Gives Accurate Predictions, Published on the Most Important News site, Dec. 28, 2014, revised and extended January 17, 2015 This economic model is 25 years old. It keeps giving accurate economic predictions. The latest current prediction is that this depression period will extend past 2020 and grow worse from now, 2015. In this article, I show how my past predictions from one and two decades ago proved correct by quoting predictions in old articles. The economic model is based on a simple theory for scientific revolutions and why they have happened at 80 year intervals. Quoting old articles, I show how I’ve understood the cause for this technological acceleration depression 25 years ago and was warning people even in the 1990s that this depressionary period would occur in the 2010s. The paper ends with some more predictions about the future such as when the productivity growth peak in QM based industries will happen and when those industries will reach the years of decline and low productivity growth. Some current statistics about unemployment and etc. are included to show that this is a depression era. Science Cycles Make Economic Depressions, manuscript article, 2012. This is a short and simple article that explains why there is a world depression period in this decade and that there is also a scientific revolution going on with cold fusion and ball lightning technology. There is an 80 year physics paradigm cycle and a 40 or 50 year Kondratieff cycle of deep economic recessions or depressions. The first three charts in the paper were made about 2001, and I included a new Chart 4 made in January 2012 to show the current 2010s depression. I didn’t have to modify my theory in the last ten years. Hopefully, these ideas will be a blessing to people to understand the times. Economic Depression or Deep Recession Likely Soon, Infinite Energy Magazine, Issue 79, p. 7, May, 2008. In this letter to the editor that was published in the science magazine in May of 2008, I tried to warn people of the depression or deep recession period that was soon to occur. The letter was submitted 12/07. I explained in that article what this depression era of the 2010s would be like and the causal factors. Cause of the Current Economic Depressionary Period (2008-), manuscript 2009. I predicted the timing and type of this depressionary period starting in 2008 about 20 years ago. 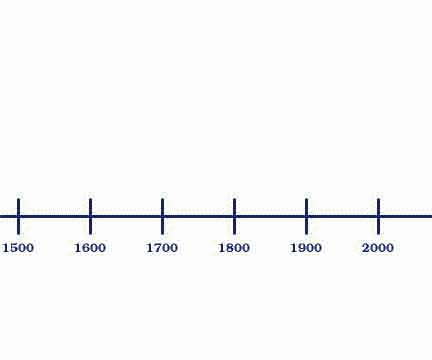 80 Year Periodicity of Scientific Revolutions and a Current Scientific Revolution, manuscript article. Scientific revolutions have happened at about 80 year intervals since at least 1506, if not before then. The current episode of scientific revolution is quite amazing, and is amazing to be a part of. Inside information is here. 80 Year Periodicity of Scientific Revolutions, manuscript article. Scientific revolutions have occurred about every 80 years. Information about cold fusion and ball lightning. The Eighty Year Periodicity of Scientific Revolutions and What It Means for the Cold Fusion Field, Proceedings of the ICCF-14 International Conference on Condensed Matter Nuclear Science, Washington DC, 2008. I predicted the timing and type of this depressionary period starting in 2008 about 20 years ago. 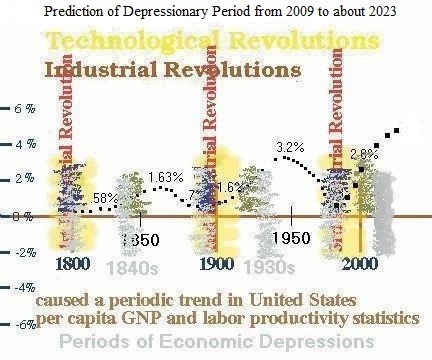 The Productivity Growth Pattern and Economic Depressions in the American Economy — If the Pattern Continues, a Depression May Begin in a Few Years, manuscript article, Nov. 21, 2006, revised February 11, 2008. I wrote this paper in 2006, then I revised it in 2008 well before the stock market crash in the fall of 2008. I used information that I had collected for the letter published in Infinite Energy that is above on this list. It is probably my best academic paper with the most comprehensive stats. In this, it is clear that I was predicting a depression period was about to start well before it happened at at a time when only a few others (perhaps 8 or 9 at that time) were predicting such an event. Cold Fusion in the Context of a Scientific Revolution in Physics: History and Economic Ramifications, in Proceedings of the ICCF-11 International Conference on Condensed Matter Nuclear Science, Marseilles, France, 2004. In this article that was published about 2004 or 2005 in that physics conference proceedings, I wrote that a depression due to the technological acceleration would occur within a few years. This is my pdf version of that published article. I also explained when the next two depressions would occur after this current one and why they’d occur, God willing. Cold Fusion May Be Part of a Scientific Revolution, in Proceedings of the ICCF 10, Boston, USA, 2003. Cold fusion phenomena were anomalies of the recent crisis period, and the field will develop as part of the new paradigm of physics in a predictable rate if science keeps developing as in the past. Predictions are described. Cold Fusion Is Part of a Scientific Revolution, ICCF11, Power Point article, 2004. 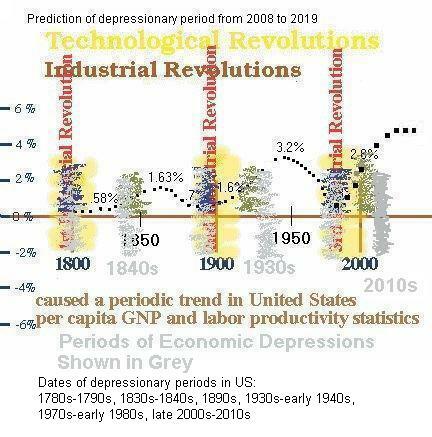 The charts show an 80 year periodicity of American productivity growth tied to the pattern of scientific revolutions. It was presented at the ICCF10. Concise Summary of the Book, manuscript, 2001. This is a short summary of the book and explains some ideas related to economics and the philosophy of science. Introduction of the book, manuscript, 1999. This article describes the book I wrote mainly in the early 1990s. I kept revising and updating it during the decade of the 1990s. Is it Possible to Predict Scientific and Economic Development?, manuscript article, 1999. This article was presented at a small conference in Russia in 1999. Abstract for my book, manuscript article, 1996. An old abstract for each of the four main parts of the book. With addendum in 1998. This article outlines my book’s structure as of the middle 1990s. It is still basically the same, but I’m thinking of publishing a new version. In this one, I predicted that a ten year economic boom was about to happen in the US during the decade from 1998 to 2008 based on my model and predictions from 10 years earlier. This prediction was correct for both the start and end of the boom period.